Do you hold F-Gas quota? Unsure of what to do? It’s time to take action and use it before you lose it. 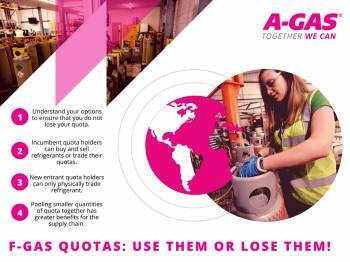 The A-Gas Quota Campaign has been designed to help make your Quota work for you. Contact us today or visit www.agas.co.uk for more information. F-Gas quota is increasing in importance as refrigerant supply continues to decline, in line with the limits set out in the F-Gas Regulations. It is vital that businesses work together to protect and grow our industry during times of tightening refrigerant supply. 1) Are you an Incumbent Quota Holder? 1.You can buy and sell the physical refrigerant – a great option for those with pre-existing supply chain links and operational support networks. 2.You can simply sell the quota and transfer the CO2 equivalent tonnage to another F-Gas registered company such as A-Gas at a click of a button via the F-Gas Portal. This is a simple and efficient option for those who want to pass on the buying and selling responsibility to someone with experience in this field. 2) Do you have New Entrant Quota? As a holder of this quota, you must physically trade the refrigerant. On the face of it, this task may appear fraught with difficulty for those without supply chain links, without experience of buying and selling refrigerant, and without the logistical support required. Rather than wash your hands of the matter, why not look to A-Gas for help. 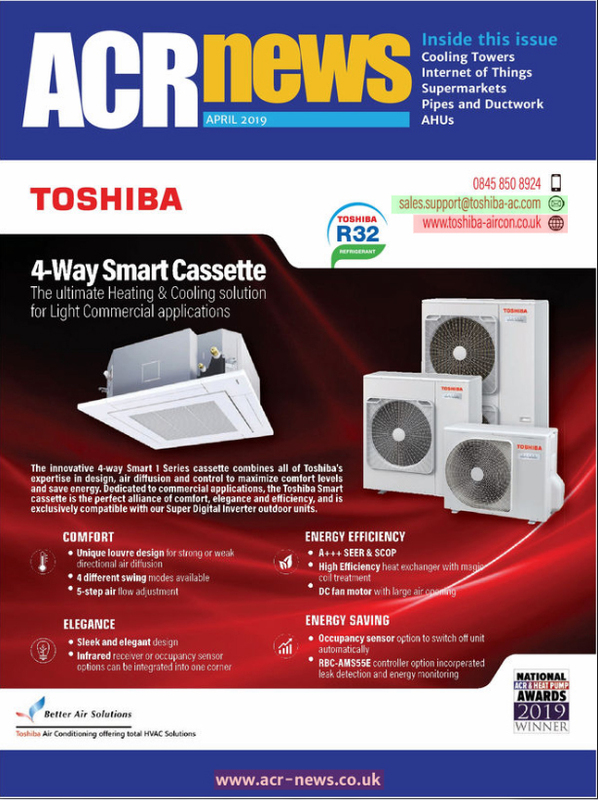 A-Gas has many years’ experience in the importation and distribution of refrigerants and has launched a “use it or lose it” service to help others make the most of their refrigerant quota. The efficient and reliable service provides quota holders (both incumbent and new entrants) with the opportunity to use their quota effectively and without the unnecessary hassle that quota management can pose on your busy schedule. Our team of experts are here to help you plan your next steps and identify an option that works for you. Don’t lose it- use it! As an industry, we cannot afford to lose refrigerant quota; whatever you do with your quota, do not sit with your head in the sand, take action to ensure you do not lose it. Contact the A-Gas team and we can help find the best way to make your quota work for you!